Kaye Soft Sling Support provides additional stability at hips and pelvis and helps to center a child within the walker. It surrounds pelvis and attaches with four buckles to the sides and back of the walker. 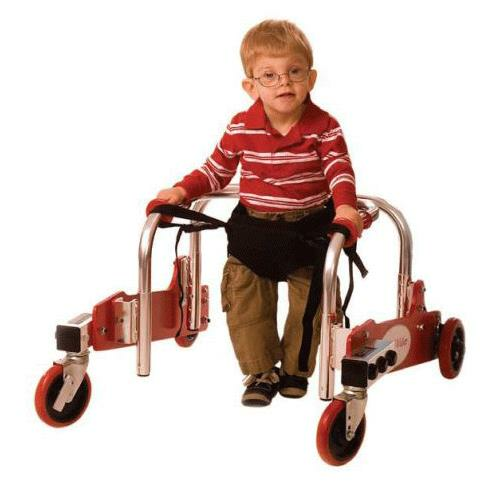 Assist children who have low tone or weakness in the legs and have a tendency to collapse while standing or walking. - Pelvic circumference of 30"-40"
Thank you for reaching out to us. 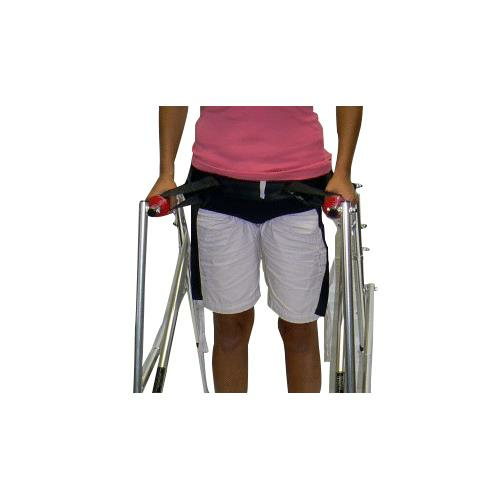 This product is just a sling support that can be attached to W1/2, W1 and W2 Walkers. walker is not included. 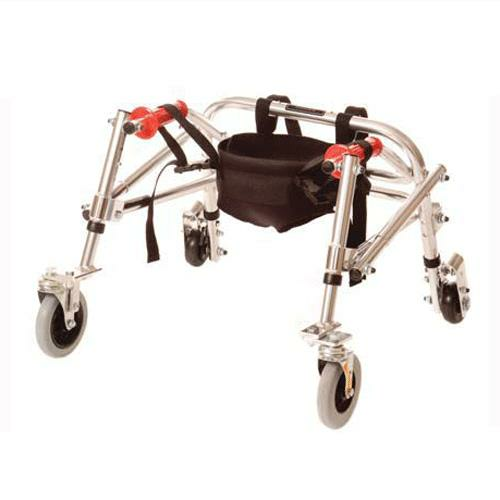 These walker are sold separately and they folds for easier storage and transportation.